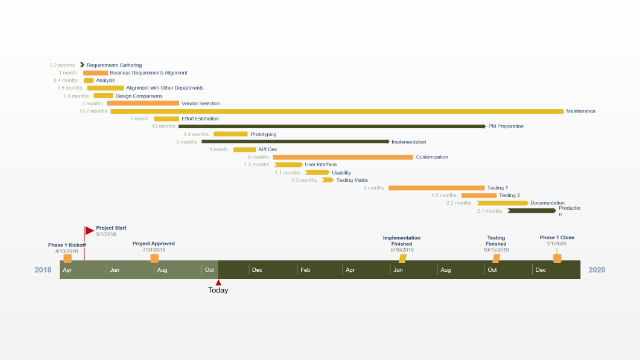 A well defined schedule is one of the most important pieces of any construction project. It will be used to measure a project’s success or failure because it clearly outlines the work that needs to be performed alongside the time allotted for completion. This construction schedule template helps illustrate the prioritization of tasks by visually laying-out the order in which those tasks need to be finished. 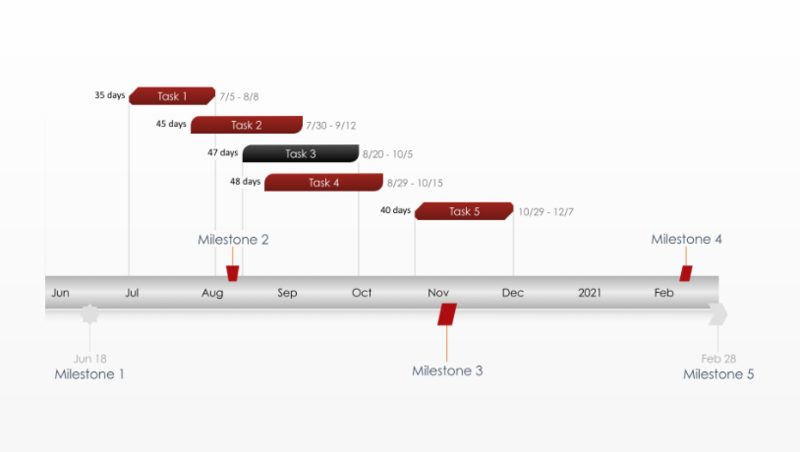 Once the construction schedule has been established, managers can then evaluate performance by tracking the project’s actual progress against the original construction schedule template. 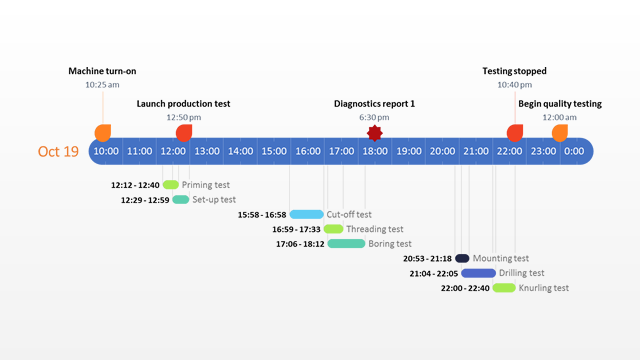 The construction schedule template was created for high-level presentations. Construction managers and contractors are good at creating complex project schedules with sophisticated project tools however something different is needed when presenting schedules to clients and executives. For this type of communication, a high-level construction schedule is needed. 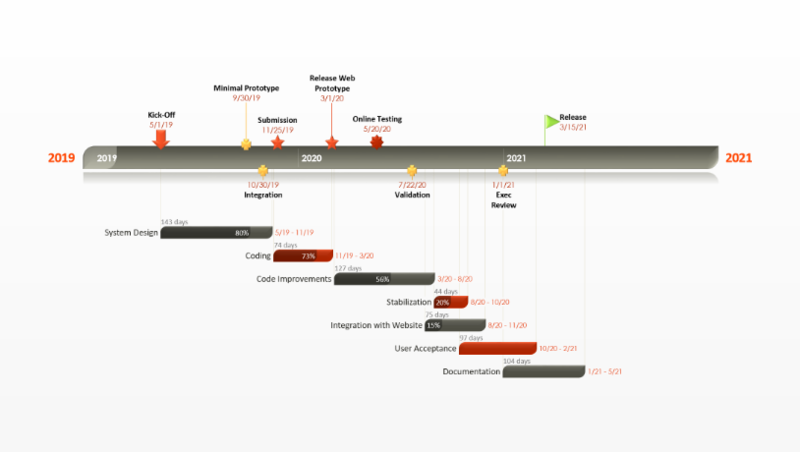 It should visually track the phases and important milestones for any construction project and it must be easily understood when communicating beyond the team. This template is designed to be easy to present and quickly understandable. It is a native PowerPoint slide so other team members can contribute to the schedule and any stakeholder will be able to read it. The construction schedule template can be edited manually in PowerPoint or it can be automatically updated with the Office Timeline PowerPoint add-in. 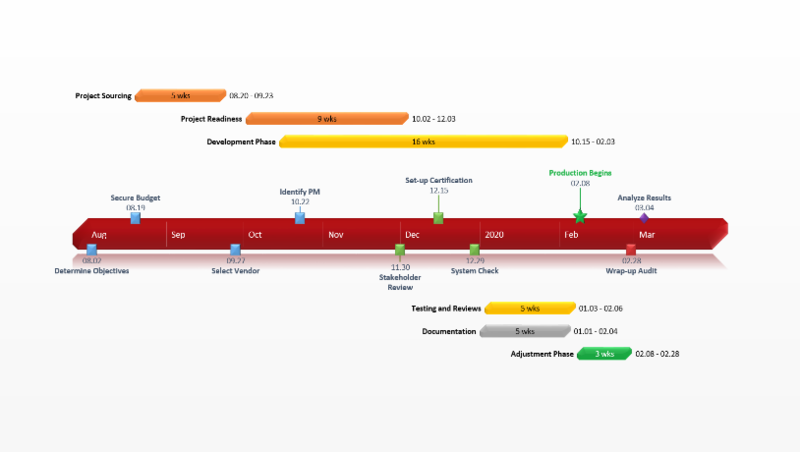 Office Timeline is a PowerPoint project scheduler that creates construction schedules for executive presentations. It will quickly create a construction schedule and instantly update it based on any changes that happened over the course of the project. Office Timeline Plus also integrates with other project scheduling applications such at Microsoft Project so any existing data can quickly be imported and instantly transformed into a construction schedule slide.